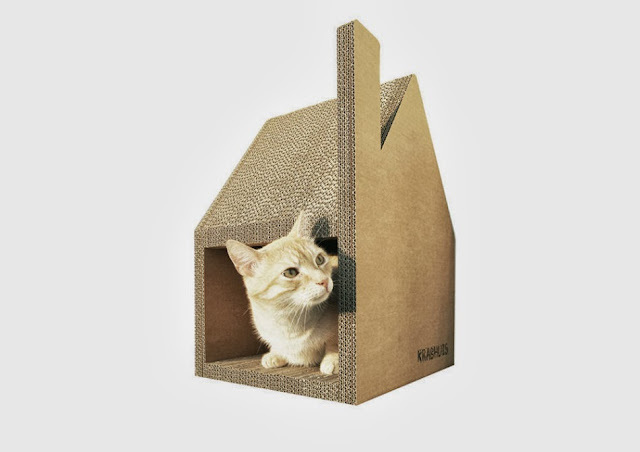 Okay, there's nothing Australian or Asian about this cute cardboard house for felines, but the cat-lover in me could not resist sharing, especially when for just over 90 euros, or about AUD $130, you can have one Krabhuis from Holland shipped to your door well in time for Christmas! Doubling as a carboard box to sleep in (what is it about cardboard boxes that cats like so much?) 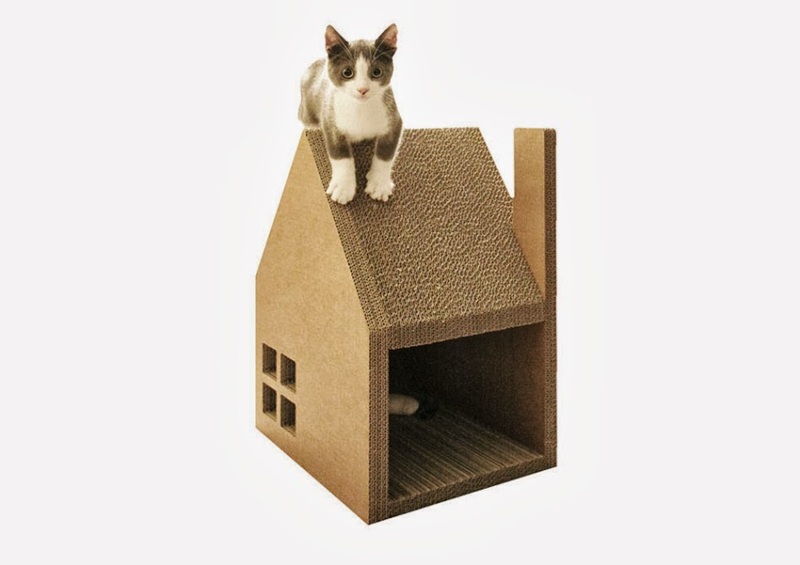 and a scratching post to boot, the house is made from recycled material of 48 layers of duofold cardboard. 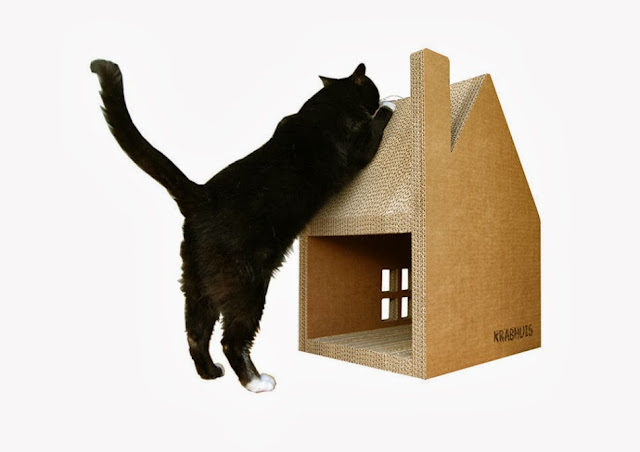 Look on the Krabhuis website for delightful pics that happy customers around the world have submitted of their cats snoozing inside the house or sharpening claws on the roof.